Debt consolidation can be a good idea. Debt consolidation can be a good idea in a variety of instances, but make a move to consolidate student loans and credit cards together and you may find yourself in a tricky financial situation. The potential advantages of student loans span beyond the ability to finance a college education. These loans are frequently at very low interest rates and can feature low monthly payments. Interest paid on student loans may be tax deductible for borrowers who qualify, and these loan payments can be deferred in some situations. Student loan deferment means that the borrower has some reason why monthly payments cannot be made, such as still being actively enrolled in school or experiencing a verifiable financial hardship. With deferment, no late fees are added despite the non-payment. Whether or not interest accrues during the deferment period depends on the type of student loan the borrower has. Consolidate student loans and credit cards into one loan, however, and most of these advantages go away. Debt consolidation combines two or more debt accounts into one loan, oftentimes at a lower overall interest rate which can save the borrower considerable amounts of money. Consolidating personal loans alongside credit card debt is a common practice with people who want to lump all of their debt into one monthly payment. Consolidation loans can come in the form of unsecured loans or loans secured by equity in a home, referred to as equity loans or equity lines of credit. Whatever method is used to consolidate debt, the point is to pay off debt faster and to pay less overall in the process. 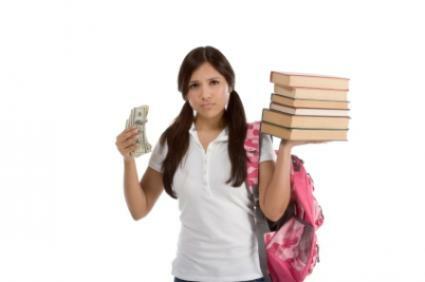 Student loans can be consolidated in some situations. Depending on the type of student loan, several student loans can be consolidated into one student loan with equally attractive (or better) interest rate terms and still retain student loan status. This makes the consolidated loan still eligible for possible tax deductions and deferment if the borrower qualifies, but only if the student loans are consolidated under a special student loan program. The same is not true for student loans that are combined with credit cards and put into one loan. Once student loans are lumped in with any other type of debt they no longer fall under the protective umbrella of student loan status, and all of the potential advantages are gone. Instead, the student loan simply becomes unsecured debt, unless consolidated with a home equity product, in which case it is secured debt but still not considered a student loan. When would it make sense to consolidate student loans and credit cards together? Borrowers who do not qualify for any of the potential advantages of student loans for whatever reason may benefit from consolidating debt as long as they can find a loan at a lower interest rate and attractive terms. Borrowers who can obtain a consolidation loan to bring delinquent debt back up to current status may find a consolidation loan to be a wise financial decision if they can get approved, but this may prove to be quite difficult with delinquent accounts. An alternative is to research options for separate consolidation products for student loans, and then for credit card debt. It may turn out that the best option is to consolidate student loans together using a special program and then consolidate credit card debt using another method, such as a balance transfer or consolidation loan. While this will not result in one monthly payment, it may still be the most financially advantageous choice overall. Do research before actually applying for a consolidation loan. Look at a variety of scenarios and speak to a representative from your preferred lender in addition to a student loan representative to find out what your very best consolidation option will be.